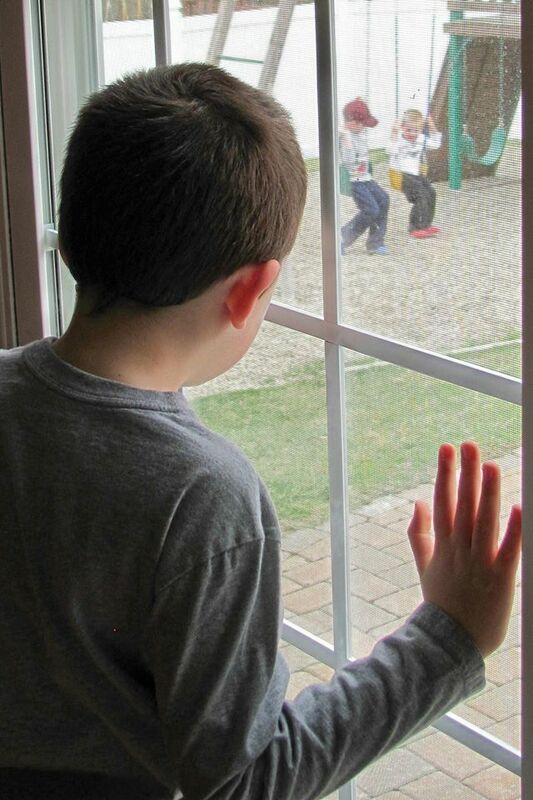 Thoughts from a mother, raising three sons, one of whom has an autism spectrum disorder. I'll discuss juggling the responsibilities of parent and professional. Peer into our lives and join the journey, as I share the trials and triumphs of daily living from one harried mom's perspective. I’m not a perfect mother. There, I’ve finally said it. It’s difficult to write. But, it’s even harder to admit. With this acknowledgement comes a sense of relief. A weight has been lifted from my soul. I feel as if I’m standing at the podium of a twelve-step meeting, confessing my deficiencies. Don’t get me wrong. I’m not a horrible parent. I’m just not a great one. My children don’t come home to freshly baked cookies every afternoon. We don’t make the beds every day. Some nights, I don’t read to my sons. In my head, I know there are no perfect guardians. The problem lies within my heart. There, lurking in the recesses of all four chambers, is a nagging, a longing, to be an ideal mother. Living in the shadow of this unobtainable objective is daunting. Lying in bed each night, reviewing my daily transgressions, I vow that tomorrow will be flawless. Some days are. But, life is unpredictable. Children are inconstant. Regardless of my best intentions, I make mistakes. On a typical week day morning, we juggle breakfast, lunches, backpacks, clothes, coats, and shoes in a controlled chaos. If the stars align, we manage to successfully squeak through the morn, leaving our day unscathed. Today, we weren’t so lucky. My five-year-old son, Peter, had a series of meltdowns. It started when he couldn’t find the toy he wanted, followed by the declaration that his Spiderman shoes mysteriously disappeared. Peter’s refusal to leave the house was the tantrum culmination. Until Peter’s outburst, life was running on schedule. As I glanced at my watch, I imagined walking into my business meeting late. Standing in the garage, seething with anger, I resisted the urge to forcibly drag him to the car. Instead, I stormed back in, retrieved the Spiderman shoes from their usual spot in the closet, and yelled at Peter in my fiercest tone. Shrieking worked. Peter promptly scurried to the car. Deserted in the hallway, I was immediately overwhelmed by sadness. Entering the garage, I could see Peter sitting in his car seat, sullen and dejected. I climbed into the backseat, gathered him in my arms, and apologized. As I held him in my arms, Peter proclaimed, “Mommy, you hurt my heart.” Then, Peter forgave me. His love for me is pure, innocent, and unconditional, which only made me feel worse. Now, hours later, I sit at my desk pensive. I’ve watched enough Oprah and Dr. Phil to know I handled things poorly. My mind is on deep breaths, time outs, and all of the other parenting techniques I’ve digested through the years. Why didn’t I employ these tactics? Instead, I mimicked the very behavior I was attempting to control. Again. Now what? There is no twelve-step program for poor parenting. Perhaps there should be. I’m sure there are other parents who feel as I do. Until I became a mother, I never realized the depths of unrelenting guilt. It started when my oldest son was in utero and hasn’t dissipated since. I don’t have the answers. What I do know? I will never be a perfect custodian. For now, I hope that being a good parent, with some great moments, is enough. A guiding principle of twelve-step organizations is to live life with a modified code of decorum. As I lie in bed this evening, I will commit myself to this pledge and strive to become a better parent. I will remind myself of Peter’s words this morning. I believe him. I did hurt his heart. Am I being too hard on myself? Maybe, but I don’t think so. You see, in the recesses of Peter’s heart, he’s longing for me to be an ideal mother too. I can live with disappointing myself, but being a disappointment to your children is an arduous burden. Just the thought of it hurts my heart. This entry was posted on Monday, April 11th, 2011 at 8:58 PM	and tagged with Parenting and posted in Parenting. You can follow any responses to this entry through the RSS 2.0 feed. I see myself in this post. I yell too much and then feel guilty. It’s a vicious cycle that I allow myself to perpetuate. I think the silver lining of this story is not only that you recognized your mistake and apologized for it, but that your son showed the ability to communicate openly and honestly that he was feeling hurt. The fact you were both able to communicate so honestly with each other- rather than denying or burying the emotions of the moment- shows that there is a real closeness between you and your son and that as he grows up he will have the tools to develop and sustain intimate relationships. Kids will learn as they get older that people are imperfect, including their own mother, and sometimes they will get hurt even by those closest to them. But if they know how to deal with it in constructive, positive ways, they will come out far ahead in the long run. It sounds like your kids are already developing these types of coping skills. And that shows me that you are a good parent. our children. But we are only human and so many times find ourselves doing exactly what we have decided not to do. The sweet part is where you stop and take the time to take him in your arms. That is probably what he will remember more than anything. I guess it can be a learning experience for them when we yell or disappoint. Maybe it helps to prepare them for the real world. Maybe it helps them to know that even the unconditional love of a mother is not perfect and may even “hurt a heart” unintentionally.